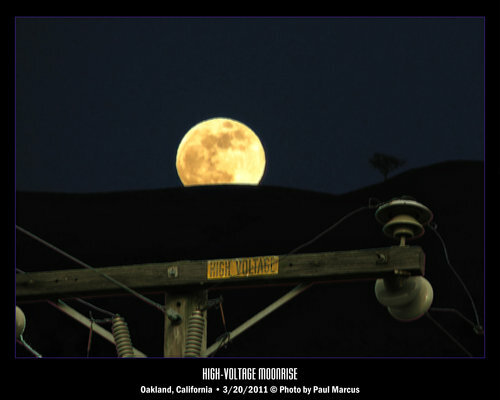 'High-Voltage Moonrise' by Paul Marcus - DPC Prints! Full Moon rising over some hills, composited with an image of the top of a utility pole. This photograph originally appeared in the Extreme Supermoon Challenge.